There are a few different causes of engine overheating, but only one result: engine damage. 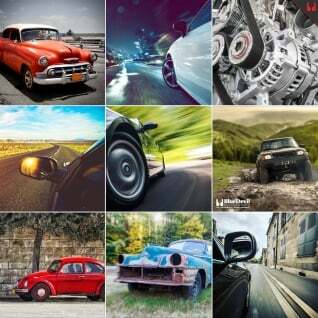 Your engine is designed to operate in a very specific environment. 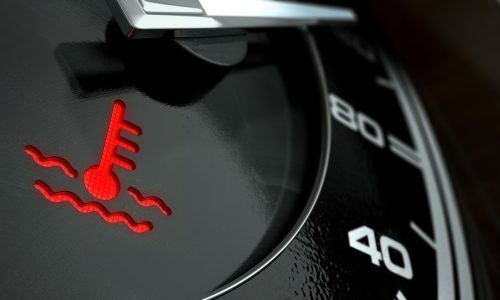 The temperature of your engine is limited at the lower end by ambient temperature and at the upper limit by your engine’s cooling system, specifically the thermostat. Many other operating conditions are limited to help keep things safe as well. Things like a minimum idle speed as well a maximum engine RPM are set by your engine’s computer and minimum and maximum oil pressures are regulated mechanically by your oil pump. If any of these regulating systems fails, your engine can quickly be outside of its designed operating conditions which will quickly lead to engine damage. Although cooling system malfunctions are common, there are other causes of engine overheating that can still cause engine damage. 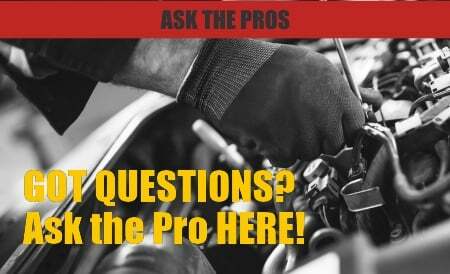 Things like broken air ducting or improper ignition timing can both lead to your engine overheating as well. In today’s modern cars there are lots of deflectors, shielding and ducting in the front of your vehicle to force air where it should go. If these plastic panels or ducts are missing they could be allowing air to bypass cooling system components allowing your vehicle to overheat. Similarly, a poorly running engine will create much more waste heat and cause overheating as well. Incorrect ignition timing is most extreme cases of a poorly running engine that can create extra heat but even things like worn spark plugs, a clogged fuel system or a dirty airflow sensor can cause your engine to create extra heat and run hot. Your thermostat is a mechanical valve that regulates coolant flow through your radiator. When the engine is cold it doesn’t allow any coolant to flow through your radiator. As things heat up, the valve opens allowing more and more coolant to flow through the radiator to keep the temperature in your engine at a constant. The water pump is what pushed the coolant through your engine and radiator. If your water pump is failed, or the impeller is damaged it will cause insufficient coolant flow allowing the coolant in your engine to get too hot. Similarly, a clog in your radiator, or even elsewhere in your system will limit coolant flow in your system causing the same hotspots and possible damage. Another one of the causes of engine overheating related to cooling system failure is fouled heat transfer surfaces. Your engine block and radiator must be able to transfer heat into and out of the coolant efficiently. If scale has built up inside the cooling passages it can limit the amount of heat that can be transferred again allowing your engine to get too hot. This most often happens on older cars that haven’t had the coolant flushed regularly. If you suspect this might be your problem, check out our article about removing cooling system fouling by flushing your radiator. A low coolant level can also lead to engine overheating if there isn’t enough to coolant to keep your radiator full and maximize heat transfer. You can check your coolant level in your radiator overflow bottle or your cooling system expansion tank. Even if your vehicle doesn’t have any of these problems, it is possible that it will overheat. If you use your vehicle in extreme conditions, such as extremely high temperatures or for hauling or pulling a trailer, the factory cooling system might just not be able to keep up. Before you spend lots of money installing aftermarket cooling products, consider adding BlueDevil Engine Cool to your engine coolant. BlueDevil Engine Cool increases the cooling capacity of your coolant allowing your engine temperature to stay in the normal operating range even during extreme driving. Adding Engine Cool to your vehicle is an extremely simple and effective way to keep your engine from overheating. I noticed that the needle on my temperature guage was right at the top, on the Red part and at the same time, the steering was very hard and I had to use a lot of force to turn the steering wheel. Are the two problems related, or is it two different problems ? Based on your description, it is possible the serpentine belt has broke and thus, the water pump and power steering pump are not functioning properly. A broken serpentine belt will have to be replaced, but a belt that has slipped off can often be rethreaded around the pulley system, which should cause power steering and engine cooling to return. Please contact our technical support line at 888-863-0426 with any questions.